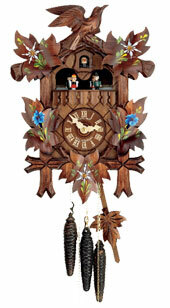 The clocks without dancers play 1 song, the clocks with dancers play 2 songs. 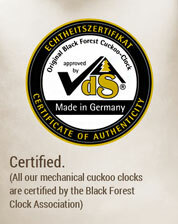 All these clocks have a high quality german brass movement with nightshutoff and come with pendulum, weights, english manual and a certificate of authenticity. 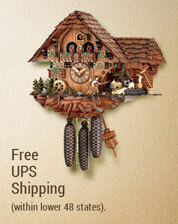 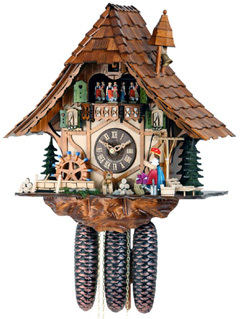 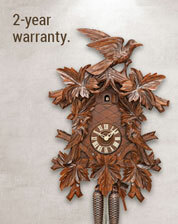 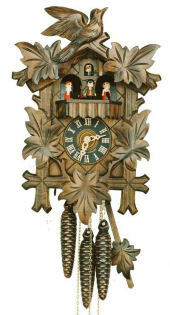 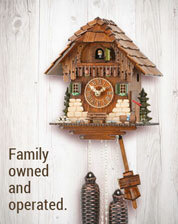 Musical cuckoo clock by Hubert Herr plays 2 tunes (Edelweiss, Happy wanderer). 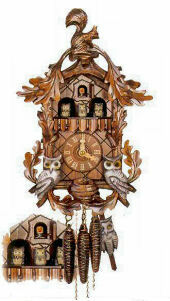 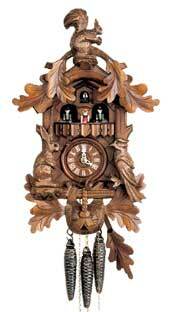 Nicely carved cuckoo clock with animals, top squirrel and musical dancers.